LOOKING FOR AN APPRENTICESHIP? WANT TO KNOW MORE..? 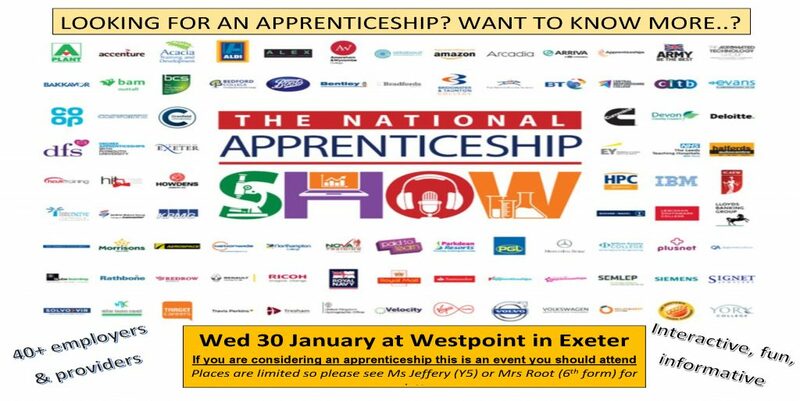 Wednesday 30th January at Westpoint in Exeter. Places are limited so please see Ms Jeffery (Y5) or Mrs Root (6th form) for a letter.